After a debt-fueled recession, you would think individuals would be more cautious and conservative with their use of debt. But apparently, that’s not the case in the U.S. If anything, borrowing has become even more reckless. Surprisingly, just about every major type of credit has increased since the last recession. Student loans are up 146% even though the number of students attending college hasn’t increased. And auto loans are up 36%, according to the St. Louis Fed. 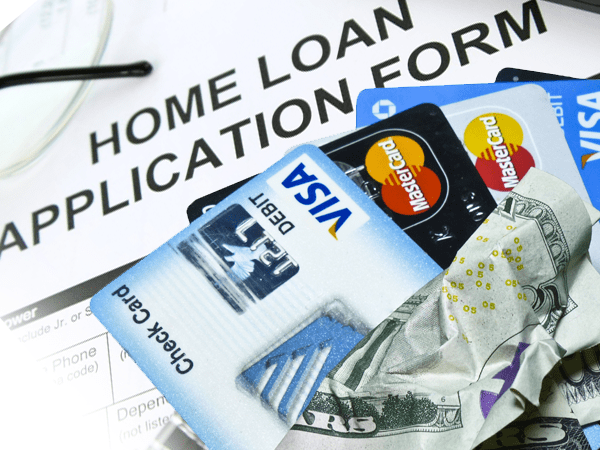 Interest rates are on the rise, but that hasn’t curbed Americans’ appetite for consumer debt. If anything, consumers are borrowing more on credit cards or through auto loans than they have in years, and lenders seeking growth are happy to oblige them. Plus, as we’ve reported before… subprime assets were the “king” of credit offerings in 2017, eerily following the same script leading up to the recession in 2008. With the increases in various types of consumer debt, banks are doing well (at the moment) and the economy is humming right along. But at some point all this debt will have to be paid back. Will consumers be up to the task? With all of this new consumer credit in the market, you would think spending was increasing and both bank and company profits were generally be doing well. An improving economy has fueled much of the growth in consumer borrowing. Low unemployment and rising confidence have increased consumers’ appetite for big-ticket purchases and made lenders more willing to dole out larger loan balances while increasing credit-card limits. The boost to loan volume and balances has helped lift bank earnings and overall retail sales. Like a thirsty person in the desert looking for water, the “oasis” these experts see could very well prove to be an illusion. All types of credit delinquency rates were at 4.9% in the aggregate, and in the home mortgage sector almost 70,000, people filed foreclosures. Companies and banks aren’t doing as well as advertised, and they’re filing bankruptcies left and right. From an earlier report on debt, Sports Authority filed bankruptcy in 2016 and proceeded to shut down all their stores because they couldn’t find a buyer. Toys ‘R’ Us filed for Chapter 11 bankruptcy in September 2017. And Sears might go belly up in 2018 due to store closures, wary suppliers, bad business moves, and more debt. Plus, more companies filed for bankruptcy in 2017 than the year prior, which is a bearish signal. 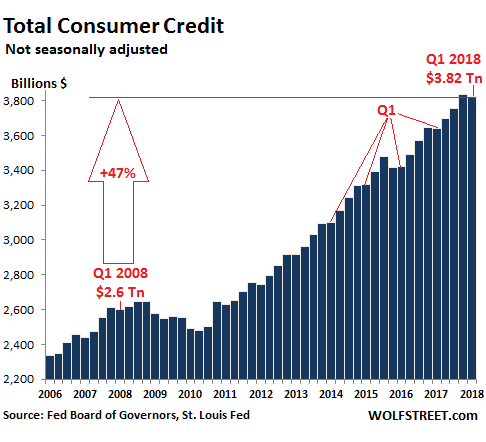 So, the important question our friendly economic cheerleaders have to answer is this: With both companies and consumers unable to pay back their increasing amount of debt, how can banks keep issuing more credit without appearing insane? Soon banks will have no choice but to tighten credit requirements to levels we haven’t seen in ten years. The debt-fueled “growth” the U.S. has seen in recent years is like a pile of dry straw that could quickly be blown away by changing economic winds. Which is why now is an ideal time to consider fortifying your wealth. Consider moving some of your funds into something more durable such as gold. By doing so you have the opportunity to protect your retirement and financial security against the economic headwinds that appear to be reversing the economy’s direction.